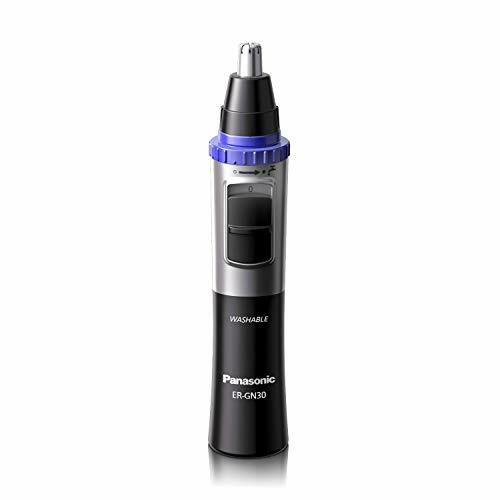 So, uh, yeah, the Panasonic ER-GN30-K is a nose hair trimmer. It costs like $10 or $20 depending on where you get it. To be honest, I've only used this nose hair trimmer once, so I don't have a really great idea of its pros and cons, but that's okay. This isn't exactly a luxury item that people are going to spend a time of time thinking about. I'll cut to the chase: just go buy this hunk of junk if you need a nose hair trimmer. It's cheap. It works. Nose hair trimmers aren't heirlooms to be handed down from one generation to the next, so don't waste your money on anything more expensive. This thing is pretty small. I have tiny hands, and I can hold it comfortably. It's plastic. The bottom is a little wide than the middle, so it won't slip out of your hand that easily. It has a little door on the back that opens and closes when you twist the blue ring on the top. When it's open, you can run a stream of water into the top of the blade and the water will get spit out through the little door. This is how you're supposed to clean it. I tried it. It works. I'm not sure how clean it really gets it though. You can pull the blade block of the top, and the blade is supposed to pop out too. I wasn't able to get the blade out. It's hard to get a hold of the blades. You could probably pull it out with some tweezers or needle-nose pliers. I didn't try. Supposedly, you can replace the blade block for this thing, but the replacement part is even more expensive than the whole trimmer. It was around $30 when I last checked on Google. The part number for the replacement is included in the manual that comes with this nose hair trimmer. the best part about this trimmer? It takes one AA battery. None of that AAA battery stuff. In my oppinion, AAA batteries should be banished. They hold too little charge, and they're not really that much smaller than a AA battery. 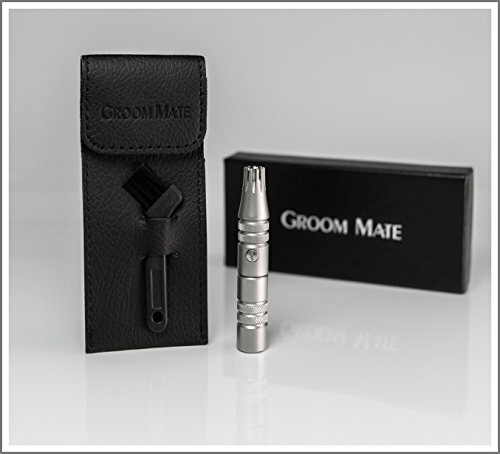 Finally, this nose hair trimer comes with a hard-plastic cap to protect the blade block. Use it. If the metal dome gets dented in towards the blades, your nose hair trimmer will stop working and you'll have to get a new one. If you need to travel with this thing, I recommend you tape the blade cover on while it's in your suitcase to prevent it from popping off. This Panasonic nose hair trimmer works and it's cheap. If it breaks, it's more expensive to repair than replace. we're in the age of disposable personal grooming devices. 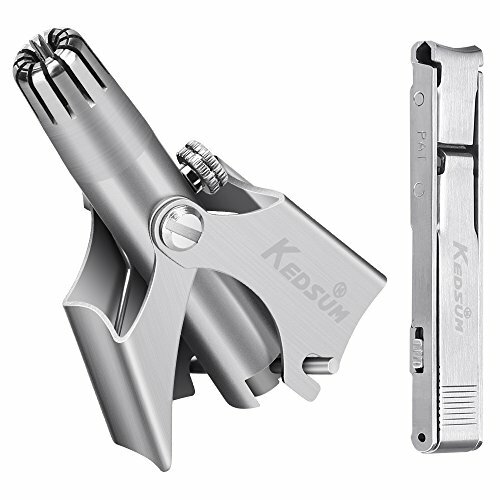 If you don't like that, you can get a Groom Mate Platinum Plus Nose & Ear Hair Trimmer or a KEDSUM Professional Portable Manual Nose & Ear Hair Trimmer instead.